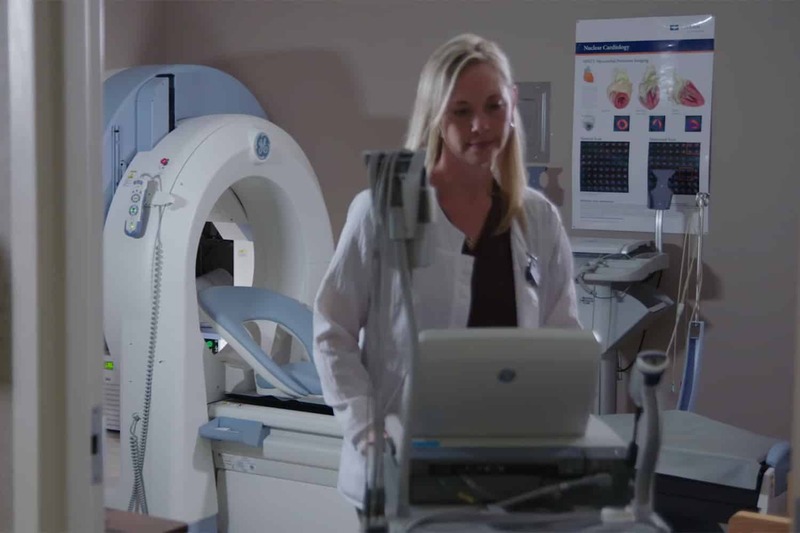 The NRMC cardiology team includes certified nuclear medicine technologists (CNMT), cardiovascular sonographers, a vascular sonographer, and registered nurse. NRMC partners with Regional Cardiology and board-certified cardiologists Dr. Christopher Ingram, who is also board certified in Internal Medicine, and Dr. Dennis Britten. Natchitoches Regional Medical Center offers many heart care services. Our Ambulance Service and trained Emergency Medical Technicians (EMTs) work with our Emergency Department physicians to initiate care as quickly as possible during a life-threatening cardiac event. The fully equipped, state-of-the-art ambulances have 16-lead EKG monitoring which tracks the patient’s condition and sends vital information for physicians to access even before the patient arrives in the ED. During a cardiac emergency, our experienced Emergency Department team quickly diagnoses patients and begins treatment. Their first priority is to stabilize the patient and prevent further damage to the heart muscle. Should a patient need open heart surgery, the ED physicians and cardiologists will facilitate transferring the patient to a tertiary hospital. Patients are then transported by ambulance or helicopter to the facility as soon as doctors determine the patient is stable. For patients with blood pressure issues or who experience other heart concerns such as Atrial Fibrillation, they may be admitted to the specialized nursing units for telemetry or to the Intensive Care Unit where they are under the care of cardiologists. The low nurse-to-patient ratio along with the state-of-the-art monitoring systems help ensure high-quality care. NRMC offers many heart care services for inpatients and outpatients.